With new purpose-built premises and a streamlined organization, maritime academy Sjónám offers a wide range of training programs and courses for international seafarers — expecting a growing number of foreign students. The international aspect is vitally important to Faroese seafarers, who have for decades been prominent among the crews and bridge teams of vessels under a variety of flags operating around the world. 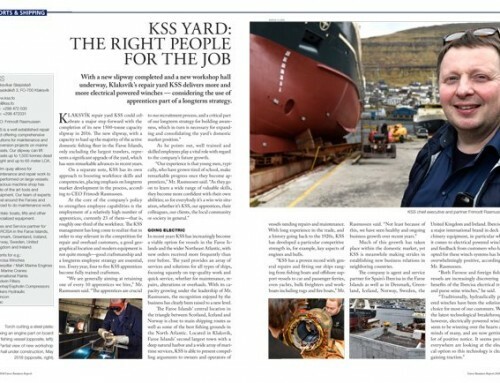 Based in the northern Faroese port of Klaksvík, maritime academy Sjónám has been highly successful attracting students for its courses from all parts of the Faroe Islands and beyond. 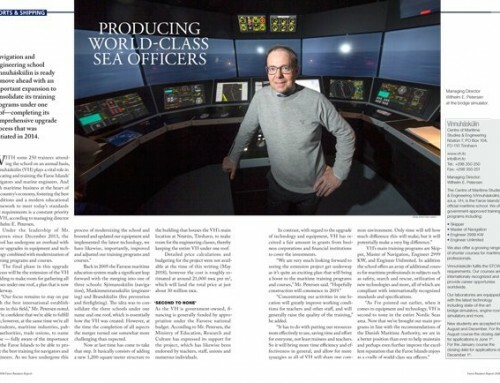 According to the academy’s manager, Ragnar Ludvig, who took over his post in August 2014, a growing number of aspiring and professional seafarers are expected to undergo training at Sjónám. Among the wealth of courses offered by Sjónám for seafarers based in the Faroe Islands or elsewhere are a skipper training program complying with STCW II/1 Officer of the Watch standards and watchkeeper’s training in accordance with the STCW II-4 Rating Forming Part of a Navigational Watch standard. 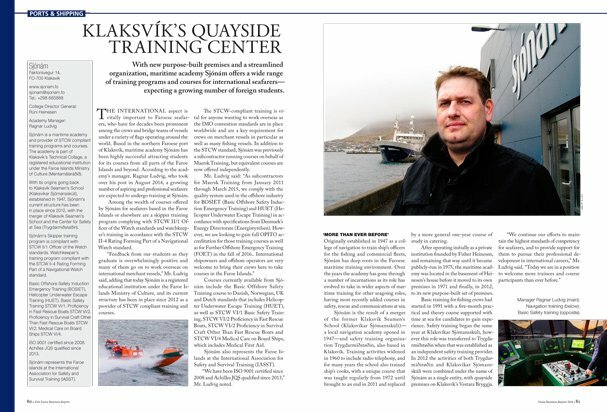 “Feedback from our students as they graduate is overwhelmingly positive and many of them go on to work overseas on international merchant vessels,” Mr. Ludvig said, adding that today Sjónám is a registered educational institution under the Faroe Islands Ministry of Culture, and its current structure has been in place since 2012 as a provider of STCW-compliant training and courses. The STCW-compliant training is vital for anyone wanting to work overseas as the IMO convention standards are in place worldwide and are a key requirement for crews on merchant vessels in particular as well as many fishing vessels. In addition to the STCW standard, Sjónám was previously a subcontractor running courses on behalf of Maersk Training, but equivalent courses are now offered independently. Courses currently available from Sjó­nám include the Basic Offshore Safety Training course to Danish, Norwegian, UK and Dutch standards that includes Helicopter Underwater Escape Training (HUET), as well as STCW VI/1 Basic Safety Training, STCW VI/2 Proficiency in Fast Rescue Boats, STCW VI/2 Proficiency in Survival Craft Other Than Fast Rescue Boats and STCW VI/4 Medical Care on Board Ships, which includes Medical First Aid. Sjónám also represents the Faroe Islands at the International Association for Safety and Survival Training (IASST). “We have been ISO 9001 certified since 2008 and Achilles JQS qualified since 2013,” Mr. Ludvig noted. 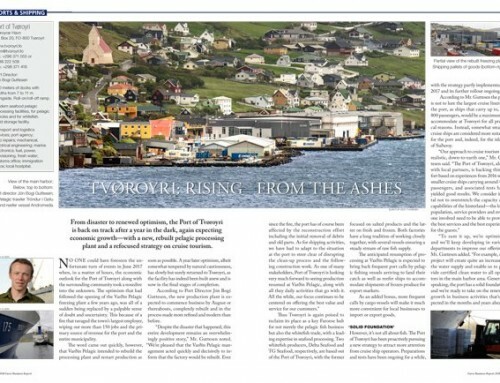 Originally established in 1947 as a college of navigation to train ship’s officers for the fishing and commercial fleets, Sjónám has deep roots in the Faroese maritime training environment. Over the years the academy has gone through a number of incarnations as its role has evolved to take in wider aspects of maritime training for other seagoing roles, having most recently added courses in safety, rescue and communications at sea. 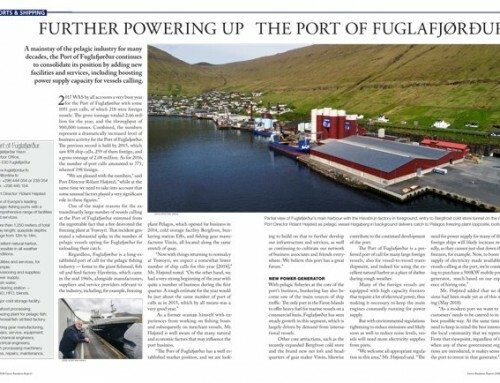 Sjónám is the result of a merger of the former Klaksvík Seamen’s School (Klaksvíkar Sjómansskúli)—a local navigation academy opened in 1947—and safety training organization Trygd­ar­miðstøðin, also based in Klaksvík. Training activities widened in 1960 to include radio telephony, and for many years the school also trained ship’s cooks, with a unique course that was taught regularly from 1972 until brought to an end in 2011 and replaced by a more general one-year course of study in catering. After operating initially as a private institution founded by Fisher Heinesen, and remaining that way until it became publicly-run in 1975, the maritime academy was located in the basement of Heinesen’s house before it moved to its own premises in 1971 and finally, in 2012, to its new purpose-built set of premises. Basic training for fishing crews had started in 1991 with a five-month practical and theory course supported with time at sea for candidates to gain experience. 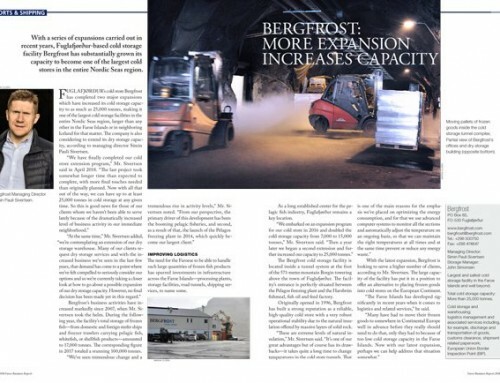 Safety training began the same year at Klaksvíkar Sjómansskúli, however this role was transferred to Trygdarmiðstøðin when that was established as an independent safety training provider. In 2012 the activities of both Trygdar­miðstøðin and Klaksvíkar Sjómansskúli were combined under the name of Sjónám as a single entity, with quayside premises on Klaksvík’s Vestara Bryggja.